Welcome to Emerson'sEnglish! This is the place to find information about what we're studying in class, to ask questions, and to check on homework assignments and due dates in 11th grade English. I am so happy you decided to visit our online classroom! 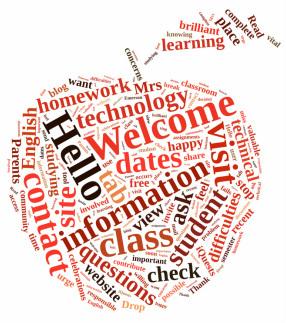 Please feel free to browse this site and see what your brilliant students get up to in my class. You may want to visit the "English I" tab above to find information about recent assignments, view class discussions, visit our class "Drop Everything and Read" blog, or view one of the iQuests your student will complete. The "About Me/Contact" tab introduces me and explains how you can keep in touch. I urge you to contact me any time you have questions, concerns, or celebrations to share. You are a valuable part of our classroom community, and I invite you to be as involved as possible. Thank you for visiting this site. Technology is a vital part of education and it is important to use the Internet as a tool to further learning. Throughout the semester, I will ask you to visit the "English I" tab to contribute to discussions, access homework materials, and to check due dates. Part of being a responsible technology user is knowing what to do when technology fails. If you ever experience technical difficulties with this site, you must contact me immediately. If you miss a due date because of technical difficulties, I will be much more willing to give you a break if you send me an e-mail as soon as the problem occurs.